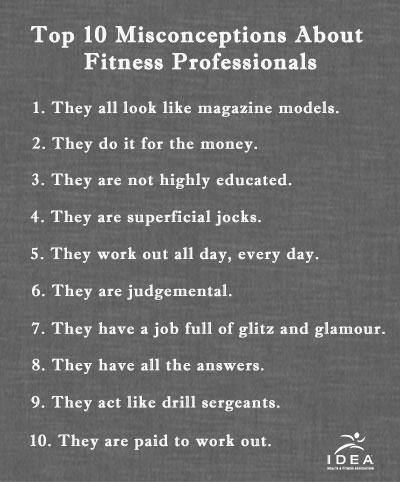 What do you consider to be the biggest misconceptions about fitness professionals? We went to Facebook to find out. Below are the top 10 misconceptions based on the responses we received on IDEA’s Facebook page. Have you noticed some of these misconceptions about fitness professionals in your area? Have you done anything to dispel these false impressions? Let us know in the comments.